Mr. Willie D. “Big Apple” King was born July 12, 1930 to the union of Mary and David L. King in Birmingham, AL. Willie attended the Birmingham Public School System and later accepted Christ at an early age and was baptized at First Baptist Church in Ensley, AL. He later moved to East Chicago, IN in the early 1950’s. He was employed at Inland Steel in East Chicago, IN in 1951 until he retired in 1990. Willie and Pattie Jo Gibson joined in holy matrimony on August 9, 1997 officiated by Rev. Kary Denson. Willie and his family joined New Mission of Jesus Christ Church in East Chicago, IN. He was a supportive, active, and faithful member until his departure. Children at the church knew him as the “Candy Man” because he always provided candy for the kids. He often volunteered security services for the church and other events. In 2015, Willie was awarded the “Man of the Year” by Rev. Willie D. Johnson. 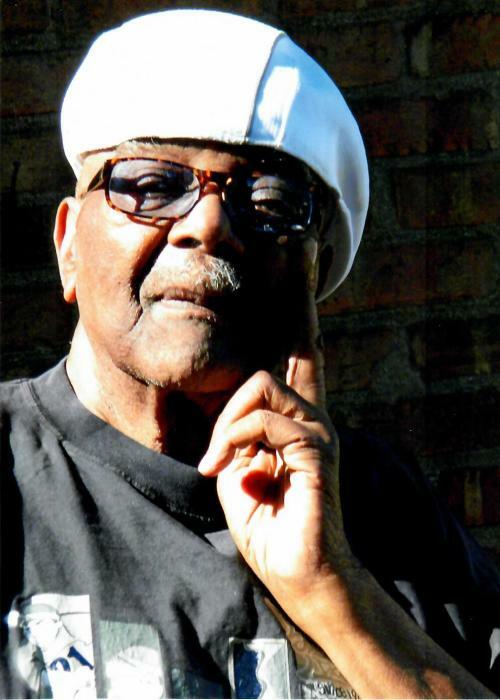 Willie King passed away Thursday, December 27, 2018 at St. Catherine Hospital in East Chicago, IN. Willie is preceded in death by parents Mary and David L. King; son Ernest (Chuckie) King; siblings Fannie Mae Harris, Carrie Biddings, Sarah Ridgell, and Arnold Ridgell, Jr., and Gleason King. He leaves to cherish his memories his loving and devoted wife Pattie Jo Gibson-King and daughter Crystal Neal; mother-in-law LaVerne Gibson; grandchildren Willie Davis, Shanell Tharpe, and Tylesh’e R. King; nephews Liewellyn (Tyrone) Patrice, Charlton Ridgell and Reginald King; 8 great-grandchildren; nieces Lovetta Harris, Peggy Harris, Camelia Robinson-Ridgell, Ethelynn Collins, Bernadette Ridgell, Edwina Bovenkerk; special niece and nephew Eric Hall, Robert Gibson and Jori Gibson; great nephew Zechariah Gibson affectionately known as “Pa Pa” brother-in-law Bernard Gibson, Roosevelt Gibson, Otto Gibson, Timothy (Kimberly) Gibson; sister-in-law Francine Gibson, Cynthia Gibson, Rosemary Gibson; lifetime friends Johnnie Dotson, Jamal McGregory, and Sweet Junigan, and Mrs. Laowida Barge and a host of other family and friends.